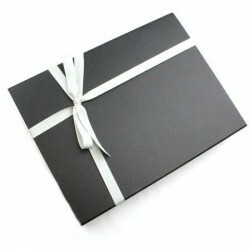 If your purchase is a gift, why not let us gift wrap it for you. We use a heavy duty matt black cardboard box with a magnetic snap shut front flap. The box has a black grosgrain ribbon tag to open it. We line it with bottle green tissue paper and finish with a grey grosgrain ribbon bow. See full details for size restrictions. If your purchase is a gift, why not let us gift wrap it for you. 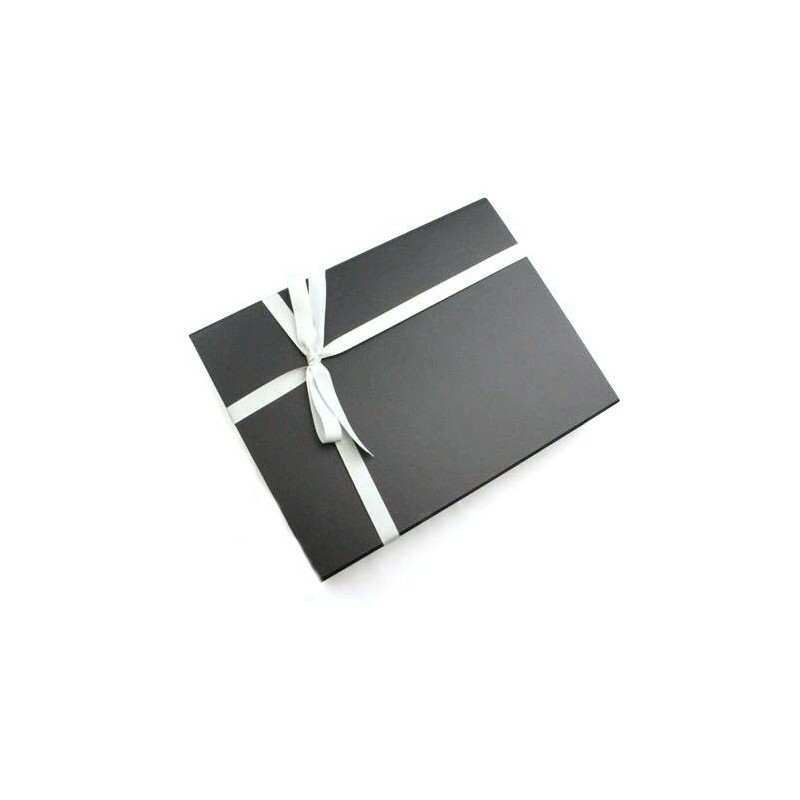 We use a heavy duty matt black cardboard box with a magnetic snap shut front flap. The box has a black grosgrain ribbon tag to open it. We line it with bottle green tissue paper and finish with a grey grosgrain ribbon bow. We use different sizes of box depending on the items purchased. Please note the maximum dimension is 33 cm so we are not able to wrap larger items such as the larger strops. Products shown in the images are for illustration only and not included.